Artificial reefs are designed to enhance recreational fishing opportunities by providing additional habitat for fish and other aquatic organisms, increasing their numbers in the area. The reefs come in many different sizes, shapes and models, for example some are tower-like steel structures whereas others are cube-shaped, constructed from reinforced concrete. Once installed on the ocean floor the reef structures begin to be populated by aquatic life, attracting more organisms and fish, and a food web begins to develop. 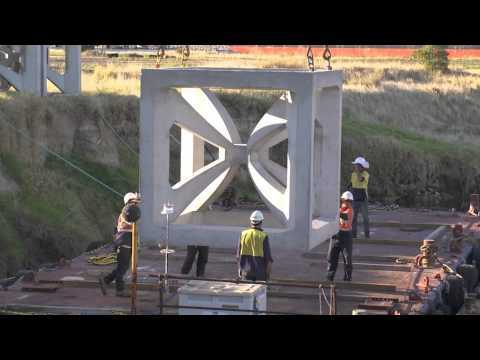 In 2013, in collaboration with Recfishwest, we installed two artificial reefs on the seabed off Dunsborough and Bunbury as part of our South West Artificial Reefs Trial Project. Click on the map above to view a larger version. 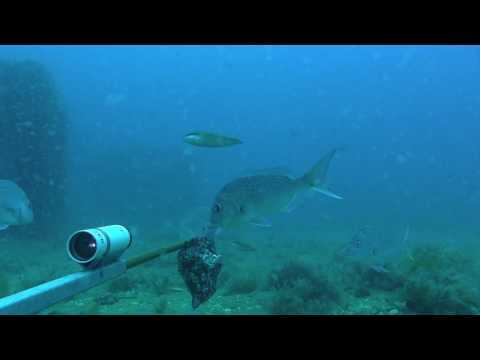 The $2.38 million project is the first purpose-built recreational fishing artificial reef trial of its kind in Western Australia and includes four-year funding for a comprehensive scientific monitoring program closely observing the reefs’ ecological development. Each artificial reef is made up of 30 ten-tonne reinforced concrete modules placed in six clusters in the four-hectare reef area and provides suitable habitats for a wide range of species. This ‘fish cube’ design used for the reef modules has been established specifically to enhance recreational fishing opportunities for the project’s ‘target species’ – pink snapper, silver (skipjack) trevally and Samson fish. Our researchers are carrying out a comprehensive monitoring program of the South West artificial reefs to assess their biological and ecological aspects. Some of the fish species found on or around the artificial reefs including pink snapper, West Australian dhufish and Samson fish (in the background). The reefs are proving popular among locals and visitors fishing in Geographe Bay with plenty of reports of good catches from over and around the reefs. As well as enhancing recreational fishing opportunities for locals and tourists, the initiative is benefiting local businesses connected to recreational angling, boating and accommodation. Each artificial reef project is being funded through recreational fishing licence fees as part of the Recreational Fishing Initiatives Fund, with the South West project also receiving funding from the Royalties for Regions program ($1.86 million). The recreational fishing community is also getting involved – Recfishwest have set up a dedicated Facebook page for recreational fishers to share their fishing experiences on the reefs. 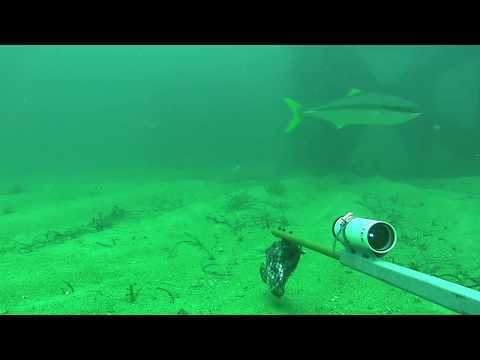 A Samson fish swims by one of the artificial reef modules in Geographe Bay. In addition to the South West Artificial Reefs Trial Project, another two artificial reef projects are being progressed by Recfishwest, with one installed off Mandurah in April 2016 and two 'artificial reef towers' installed south of Rottnest Island in December 2016. The Mandurah reef is of a similar design to the South West artificial reefs and is the first artificial reef entirely funded by recreational fishing licence fees.